Writing worksheet on present continuous. 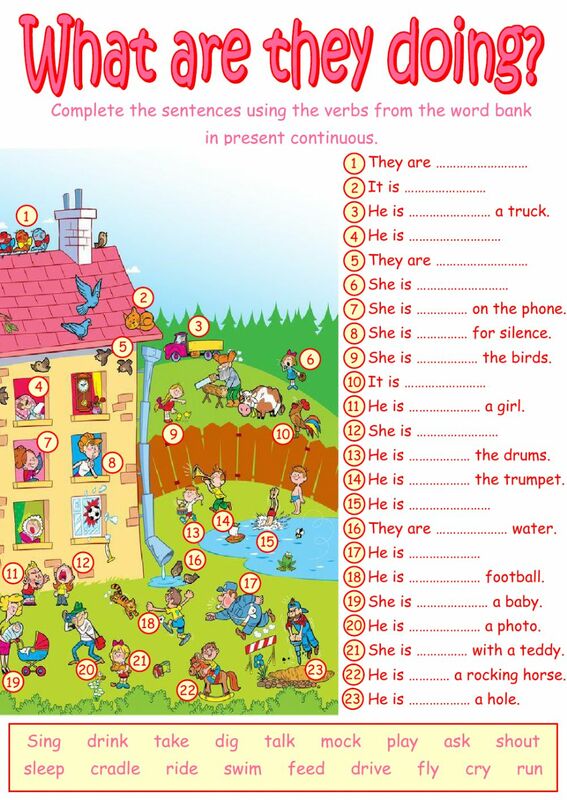 Complete the sentences using the verbs from the work bank in present continuous. Copyright 3/10/2017 Víctor Gayol. Publication or redistribution of any part of this document is forbidden without authorization of the copyright owner. Thanks a lot for this wonderful worksheet. I just wonder why I am not able to embed it into our school Moodle webpage using the code in the box 'Link to this worksheet ....'. Thanks. Hola! I love all your worksheets! Thanks a lot for sharing! wow...it's nice,thank you...my students love it! it is very useful worksheet and easy for ESL students to learn. Thanks a lot. Kids on school will have fun tomorrow! Thank you very much! It's great worksheet. I love it. how to get the coreection form please ? I can't download the PDF. Thank you for this resource.